Headache in a bottle in the background. Bacardi Ocho is the only rum I like to drink neat from the company. Well, I also use 151 for pipe cleaning and mixed drinks. Somehow the Volk (bottom) gets ignored. It looks very space age. I love the look of those radiators, but gosh they're spendy. One of these I'll find a good reason to buy a short full bent. Wait until they are on sale like I've done. Usually about two sales per year. Good to know, I'll keep an eye out. Price tag says 11-2-72 at top, I just now noticed. Just one, sort of but carbon fiber vs metal. A Yello-Bole that was in a batch of estate pipes I just acquired. Pretty wild looking. I like that a LOT! I'm adding one of those to my antique store hunting list. I used to have a couple of those, but the straight version. Airo-Grate, I think it’s called? @Tortuga check eBay. I bought them really cheap on there years ago. Here are two: https://ebay.to/2zPjtfM Not bent, and not in great shape, but cheap. There are a couple more on ebay right now, if you look through the Yello Bole listings. I saw a straight one at an antique store a ways back. Very overpriced, I was planning on trying to beat him down on the price next time I was in there. I wasn't aware they had made a bent version. 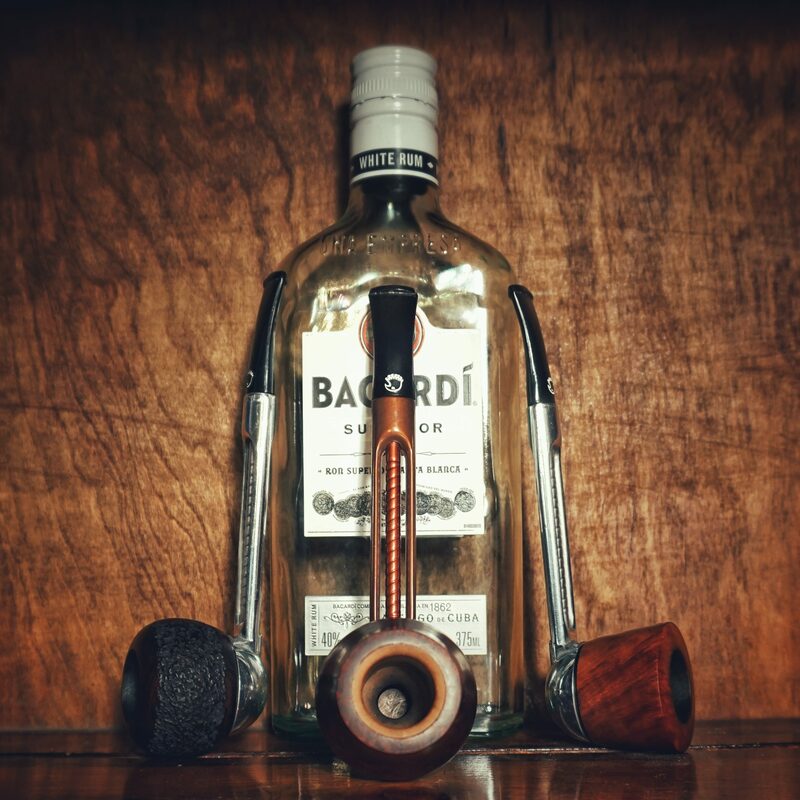 A great reminder to the true lineage of the new smokingpipes Eltang Basic. I love the < 20g weight!!! sp lists each pipe's unique dimensions, and I chose mine because it was lightest - 19.66g. Not even close to my lightest pipe ( Tom Eltang: Rusticated Natural Arne Jacobsen coming in at 14g ), but it'll do in a pinch, it can eat crackers in my bed anytime, Bob's your uncle. Here are my Falcon and Kirsten. The Falcon is a 1970s vintage that I inherited from my grandfather. The Kirsten is marked with "Seattle Pipe Club 2002" and is wearing an olivewood bowl made especially for me by our very own Don Warren. @Riff Raff - meant to ask, have you tried changing to the extra carbon fiber stem? Was wondering if it's just a friction fit. snagged off what for £29, new old stock from around 1985. Although it looks like any ordinary falcon, it is a little bit special as the spool bowl hasn't been made for years ago.